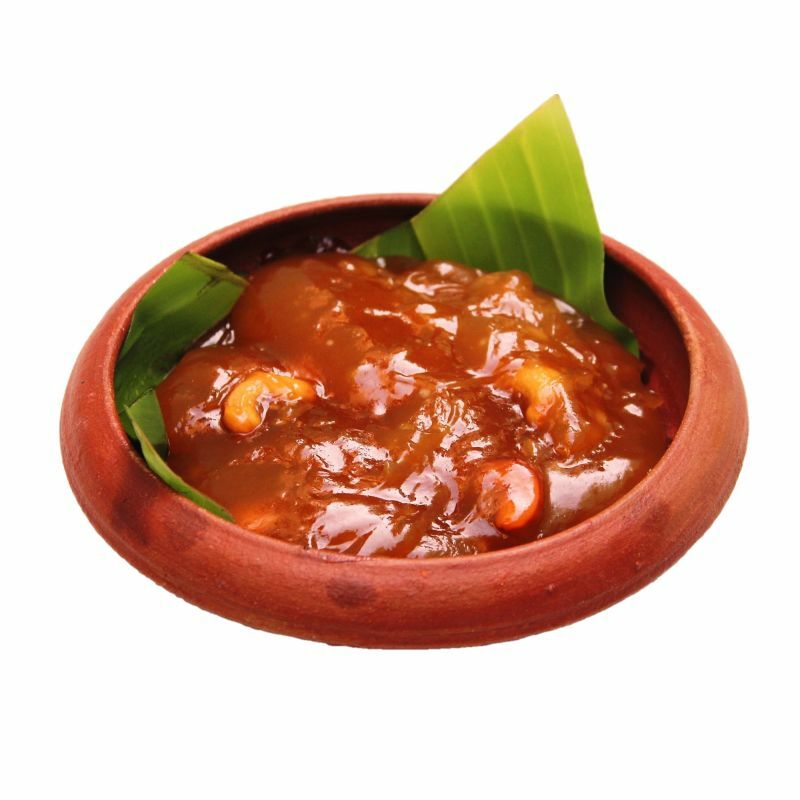 The speciality of Tirunelveli Halwa is that it is made out of wheat and is cooked in Thamirabarani water that is nourished with Herbals from western ghats contributing to its traditional taste. This Halwa is only available in Tirunelveli city but is very much demanded all over India especially by People across Tamil Nadu which is why we have established a tie up with the local Tirunelveli halwa makers residing in Tirunelveli to bring you this amazing Traditional sweet by courier services. Get the real taste of halwa from the king of halwa makers. Pure tasting thirunelveli Halwa it is sooo good.